Gallo pinto fueled our honeymoon in Nicaragua. Fortunately for us, this delicious and filling meal is easy-to-make, so we can relive our post-wedding adventure on the regular. When Shae and I bought our flights to Mangua, we had little idea what to expect outside of our Lonely Planet and a friend’s travel stories. We discovered a wonderful country filled with 19 volcanoes, lush green landscapes, and the dreamiest rum I’ve ever tasted – Flor de Caña. We also really enjoyed the cuisine – lots of fresh mangos and papayas, fried plantains, and rice and bean dishes. Gallo pinto is a staple meal in Nicaragua and can be eaten for breakfast, lunch, or dinner. Filling and easy-to-make, this meal will also keep for several days in the fridge. Inspired by one of our hotels in Leon, I created a fresh mango salsa to add some sweetness and heat to gallo pinto’s hearty goodness. 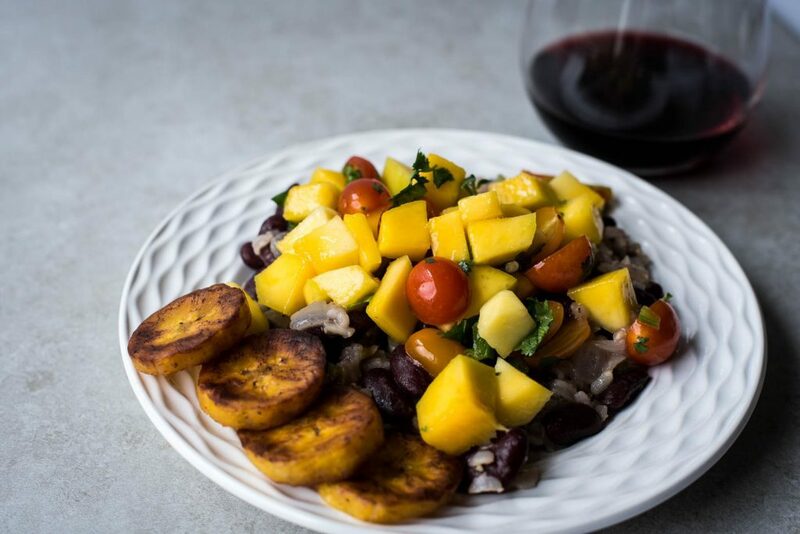 The saltiness of the gallo pinto combined with the acidity of the mango salsa will highlight the right wine. Gallo pinto by itself can support a light (Gamay, Pinot Noir) or a medium bodied red (Grenache, Cabernet Franc). If you add in the mango salsa, you’ll want a more acidic wine to support the acidity in the salsa from the mango and lime juice. Flor de Caña– not a wine but, in the spirit of Nicaragua, I have to recommend this rum. Gran Reserva 7 years; caramel, coffee, brown sugar smoothness. Try it on the rocks. Pinot Noir– A temperamental grape can lead to a good class of wine. Because it is difficult to grow, a good Pinot Noir is usually costlier than other options. Light bodied with low tannins, Pinot has enough acidity to handle the mango salsa. Suggested Region: Willamette Valley, Oregon. German Riesling– Aromatic white. Intensely fruity. Try to look for a Kabinett (light body, high acid, drier) or Spatlese (later harvest, riper grapes, sweeter, lemon and pineapple flavors). The Kabinett will be more refreshing and the Spatlese will be a sweeter choice. A staple meal from Nicaragua. Fueled us throughout our honeymoon to climb volcanos, explore beaches, and go kayaking. Delicious, filling, and easy to make. Cook the rice according to regular rice preparation. Once ready, keep covered on the stove so it stays warm. If you can use day-old rice here, even better so the rice has a chance to dry out in the refrigerator and create a chewier texture in your final dish. Heat the oil in a large skillet over medium-high heat. Add the onions, bell pepper, and garlic and sauté for about 2 or 3 minutes, or until cooked through. 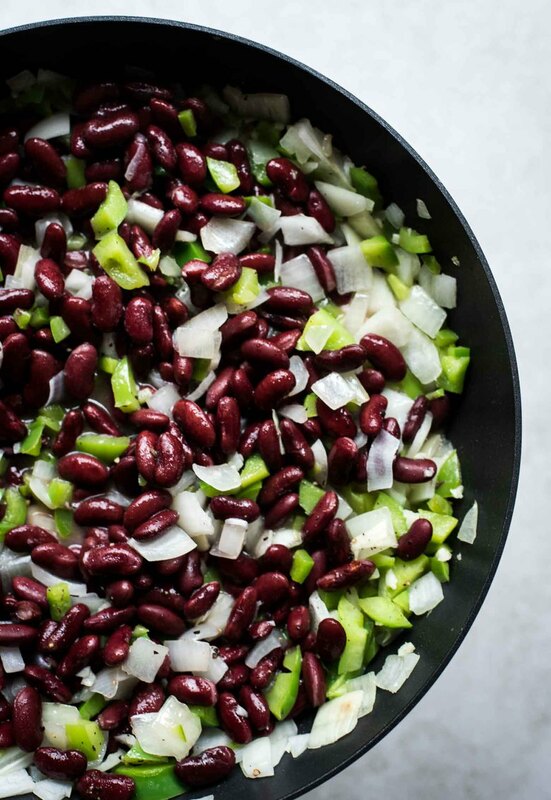 Stir in the drained beans and season with salt and pepper. Add some of the reserved liquid (there should be some standing liquid but not soup-like). Bring to a boil, then reduce heat to medium-low and continue to simmer until heated through. Add the rice to the bean mixture. If dry, additional bean liquid reserve can be added. 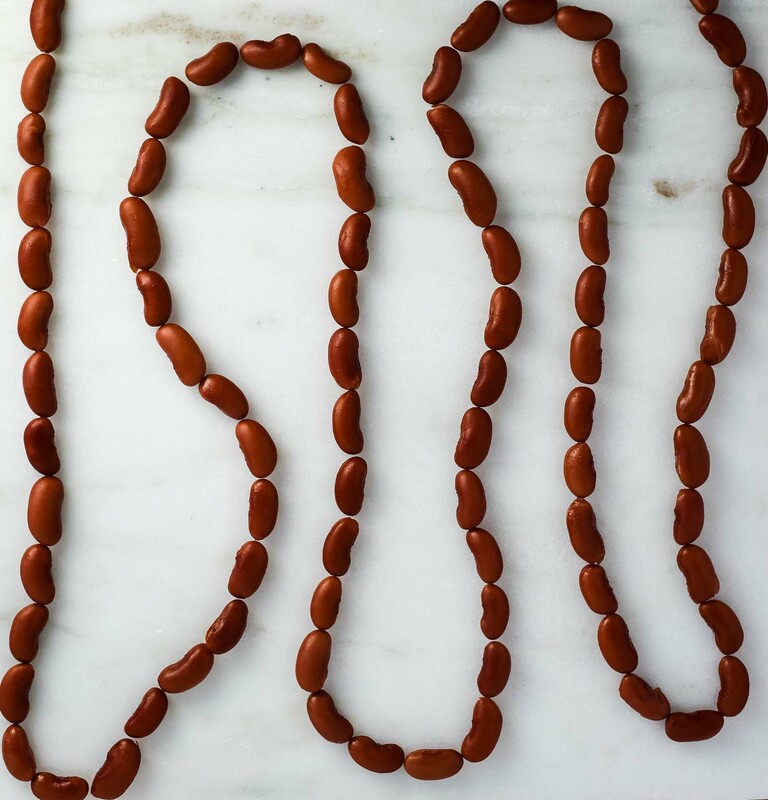 Bean liquid helps to bind the rice and beans together. 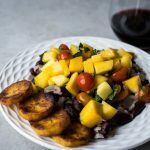 To serve, put on a plate, top with Fresh Mango Salsa, and add fried plantains on the side. Best when fresh. 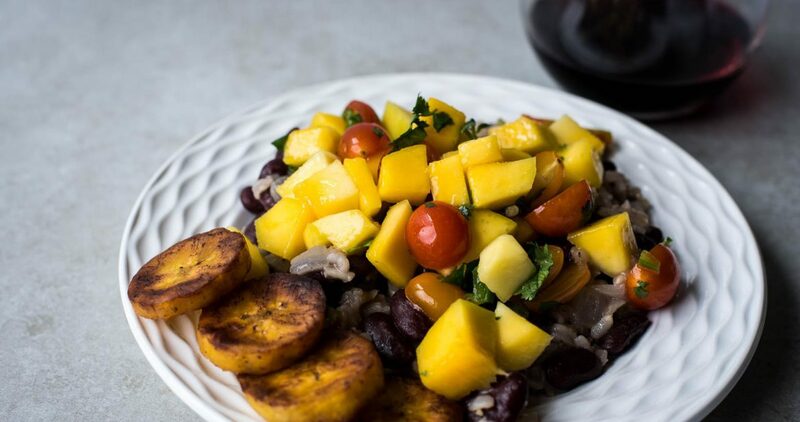 Store mango salsa, fried plantains, and gallo pinto in separate covered containers in refrigerator, up to 4 days. Never been to Nicaragua but feel like I have now. This was a big hit with my book club. Thank you!